Tana Umaga has shut down any notion NRL star Roger Tuivasa-Sheck is in negotiations to switch codes to his Super Rugby side the Blues. And the Blues coach is hardly short of talent in the outside backs, with 18-year-old prodigy Caleb Clarke starring in the Brisbane Golbal Rugby Tens and announcing himself as the next budding superstar of the game. Umaga, the legendary former All Blacks captain, could only shake his head when asked if he was talking to New Zealand Warriors skipper Tuivasa-Sheck about signing with the Blues as has been reported. 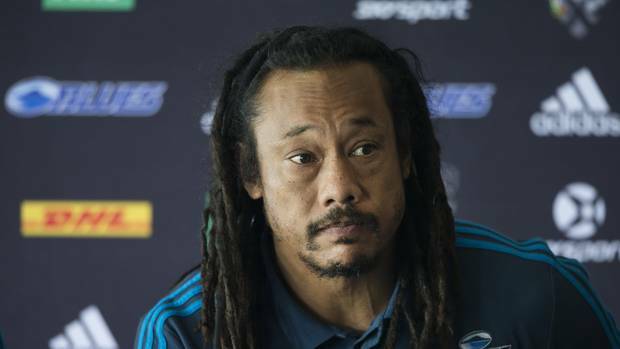 With a star-studded backline including Sonny Bill Williams and Rieko Ioane — and now Clarke set to burst onto the Super scene — Umaga is comfortable with his roster. Tuivasa-Sheck is reportedly unhappy at the Warriors and has been linked to the Blues and NRL rivals Wests Tigers in recent weeks, and he has not denied ­considering a move. 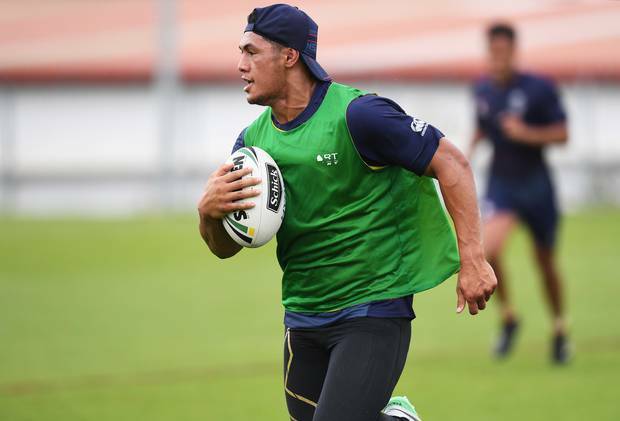 Clarke, the son of former All Black Eroni Clarke, was a handful throughout the two-day Brisbane Tens event and has a massive future. The 107kg flyer — who clocked 11 seconds for the 100 metres when he was just 15 — will follow the same path as Ioane by playing for New Zealand’s Sevens team at the Commonwealth Games on the Gold Coast in April before joining the Blues’ Super Rugby campaign. “He’s a great kid not just on the field but off it as well, you can see what he’s capable of. “The key for us is to make sure he’s learning what he needs to learn to compete at this level consistently,” Umaga said. “He’s on the fast track, we’ve already got a player that’s on that track before and we know where he’s gone. “I think players that can make that step up, that can deal with that not just physically as well because it is a big change in lifestyle – everyone wants a piece of you now, they’re telling you this and that, he’s only been here a minute – someone’s got to make sure we handle that and he’s capable of handling all that expectation. “That’s what we’re wary of for a great young kid. “You can see ability that he has, it’s our job to make sure if you do have that ability, you utilise that for a long time rather than be swept up in things he can’t control. “He’s a winger for us, he’s more comfortable on the wing and he’s got all the attributes.